Sodium is an essential nutrient for all living organisms. It is supplied from the diet as salt, Sodium Chloride. It regulates blood volume, blood pressure, osmotic equilibrium and pH. The renin-angiotensin system and the atrial natriuretic peptide regulate the amount of fluid in the body. Reduction of blood pressure and sodium concentration in the kidney result in the production of renin, which in turn produces aldosterone, retaining sodium in the urine. Because of this, the osmotic pressure changes and osmoregulation systems generate the antidiuretic hormone, causing the body to retain water and restore its total amount of fluid. 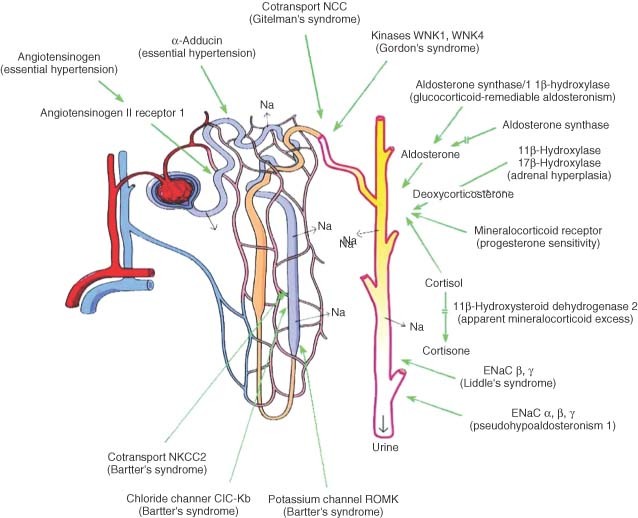 Receptors in the heart and blood vessels sense the resulting distension and pressure, leading to production of the atrial natriuretic peptide, causing the body to lose sodium in the urine; the osmoregulation systems detect this and remove water, restoring the total fluid levels. 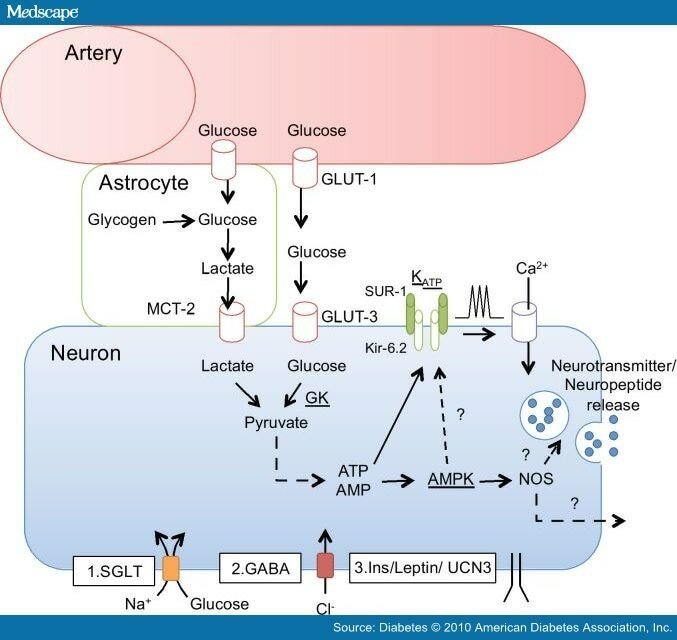 Sodium is also important in neuron function and osmoregulation between cells and the extracellular fluid; their distribution is mediated in all animals by Na+/K+-ATPase.50 Hence, sodium is the most prominent cation in extracellular fluid: the 15 liters of it in a 70 kg human have around 50 grams of sodium, 90% of the body's total sodium content. In C4 plants, sodium is a micronutrient that aids in metabolism, specifically in regeneration of phosphoenolpyruvate and synthesis of chlorophyll.51 In others, it substitutes for potassium in several roles, such as maintaining turgor pressure and aiding in the opening and closing of stomata.52 Excess sodium in the soil limits the uptake of water due to decreased water potential, which may result in wilting; similar concentrations in the cytoplasm can lead to enzyme inhibition, which in turn causes necrosis and chlorosis.53 To avoid these problems, plants developed mechanisms that limit sodium uptake by roots, store them in cell vacuoles, and control them over long distances;54 excess sodium may also be stored in old plant tissue, limiting the damage to new growth. Fractional excretion of Na+ (5x) and of K+ (2x) increases during training, leading to a net loss of both ions. Poi gli esperti hanno ripetuto il test eliminando la proteina TRPA1 e hanno visto che il paracetamolo non aveva piu' effetti contro il dolore. ''La nostra scoperta mostra per la prima volta - afferma Stuart Bevan del King's College di Londra, uno degli autori della ricerca - che questa proteina e' un nuovo meccanismo di azione per l'antidolorifico''. Il team ha inoltre scoperto che prendere paracetamolo induce la creazione di un dannoso sottoprodotto detto NAPQUI, responsabile degli effetti collaterali tossici in caso di sovradosaggio, nel midollo spinale e nel fegato. ''Adesso possiamo cominciare a cercare molecole che funzionino allo stesso modo per dare sollievo al dolore - aggiunge David Anderson del King's College di Londra - ma che sono meno tossiche e che non comportano complicazioni serie in caso di sovradosaggio''.